David Bodo & Associates, Inc. is a full service pipeline surveying company led by licensed professionals, working in the oil and gas industry for more than 35 years. We’ve staked and platted over 5,000 oil and gas wells across Ohio including Horizontal Wells in the Utica and Marcellus Shales. As Ohio began to strive for energy independence, we immediately saw new opportunities for growth and development in our business. In response to the demand, we have doubled our staff and implemented a continuing education program. Additionally, we are continually updating our equipment with the latest technology. Currently, we have four Professional Surveyors, an HR/Safety Specialist, seven full-time CAD (Computer Aided Design) drafters and the ability to run any combination up to 8 one-man field crews. Not only can we provide the basic services, we are well adapted to exceed current regulations and any changes in the future. We have experience platting in urban settings. Our scope of service includes plats, plot plans with aerial photography, plot plans with contours, assistance with mandatory pool packets and a willingness to meet client specific needs in a professional manner. We are licensed through Ohio and have assisted clients in other states through our associations and other licensed professionals in those states. Ohio Department of Transportation’s Office of Consultant Services has approved David Bodo and Associates, Inc.’s technical prequalifications for Right of Way Plan Development. Field data is collected electronically to instantly update project files to and from the office. This allows the Surveyors to check the raw data, adjust and modify projects accordingly. The field crews provide field-to-finish data to the CAD drafters for the most efficient completion of mapping projects. 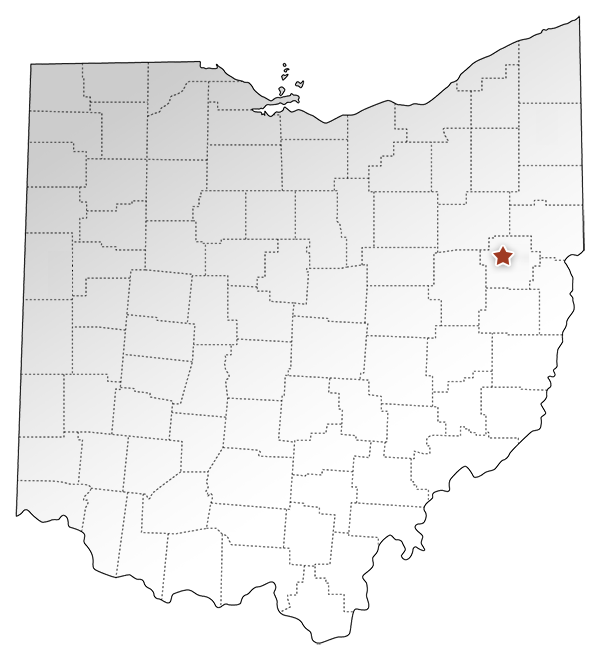 We have access to aerial photography and contours of the entire State of Ohio. Precision and excellence in quality are our goals. We continuously invest in new computers, updated software and state-of-the-art equipment. Our field crews are trained to use robotic total stations, survey grade GPS receivers and laptops with updated air photos in our well-equipped company vehicles. Technological advances in our industry have been amazing to witness and we are proud that David Bodo & Associates, Inc. has been “cutting edge” in implementing this technology to better meet the ever-changing needs of our oil and gas clients. Our Riegl 3D Terrestrial Laser Scanner allows us to provide detailed and highly accurate 3D data rapidly and efficiently. Safety is a major focus at David Bodo & Associates, Inc. While getting the job finished in a timely manner is a high priority, having our associates return home each night in the same or better health condition is critical. Safety is more than an issue covered at a specified meeting; it is at the core of all of our projects. Crews are currently certified in CPR, First Aid and Bloodborne Pathogens Training. David Bodo & Associates, Inc.’s commitment to a drug-free environment is confirmed with 100% compliance to our documented pre-employment and random drug testing. In addition to currently holding the best experience rating per 2016 Workers Compensation State Audit and being certified and A-rated by ISNetworld, David Bodo & Associates, Inc. utilizes Axiom’s 24-hour Injury Case Management Service. Our associates must complete new hire safety orientations, site specific safety requirements and additional client required training as needed. Daily tailgate safety meetings remind our crews of the focus on their safety. At each job site, each day, a Job Safety Analysis is performed, documented and signed by each associate. Weekly and documented safety meetings address company, client and industry health, safety and environmental issues. All associates are expected to exercise their Stop Work Authority to stop any task that they believe to be unsafe to self, others or the environment without fear of consequence. Our strict dress code includes long field pants, hard hats, high visibility safety vests, sleeved logo shirts and boots. To meet specific safety policies and client requirements, our crew also have steel toed boots, safety glasses, fire retardant clothing and other Personal Protective Equipment as needed.